I am in Chapter 13 bankruptcy with a confirmed plan, and I did a lien strip to remove my second mortgage (it is a second deed of trust with Bank of America). I just got a letter from BofA saying they are forgiving my second mortgage, they will send documents showing the loan is forgiven, and there is more nothing I need to do. My bankruptcy lawyer says that I’m not supposed to get the lien strip until I complete my five year Chapter 13 plan and get a discharge, and that therefore I must finish my Chapter 13 case in order to gain the benefit of the lien strip. Is the bank writing this off now rather than waiting the five years? I just want to get a second opinion because it’s confusing. You’ve lucked out. And I get to answer a fun question. Think about this settlement as if it were a debt that the banks owe to the public. They pay the debt by forgiving loans totaling $10 billion. After they do that, the debt is paid. Sounds like a good deal for consumers, doesn’t it? Did Government Lawyers Get a Good Deal for Homeowners? In agreeing to this settlement, the banks (but maybe not the government) realized that they could get full credit towards paying the $10 billion they owed by forgiving loans that were uncollectable anyway. Think about your loan. You’re not making payments on your loan. Throughyour bankruptcy, you are on track to discharge your personal liability for the loan. And your loan is already subject to a lien strip order. From the bank’s point of view, their chances of collecting money on your loan are slim to none. Forgiving an uncollectable loan, just like yours is, makes good sense for the banks. It is similar to you giving a bag of old clothes to charity and getting a tax deduction for worthless stuff you were about to put in the trash. If You Were a Bank, Which Loans Would You Forgive? You would certainly keep loans that customers pay on time. That improves your balance sheet and keeps the bank healthy. Because you must forgive some loans, you would probably choose loans that are in default. Even better, you would look for defaulted loans that are already involved in bankruptcy with a lien strip. Small wonder why the bank picked your loan to forgive. 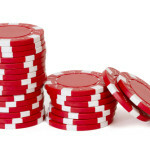 For them, using your loan to pay off a bet was like drawing four aces in poker. Forgiving your loan (and the loans of others) makes the public think they are swell guys, but in your case (and many others), it doesn’t really cost them anything. They weren’t going to get paid on that bag of old loans anyway. But forgiving uncollectable loans pays off the settlement. All in all, your bank is likely very happy with this deal. It gets to pay the settlement with a big bag of trash, instead of paying with real money. It also gets a tax deduction, just like you do for donating a bag of old clothes. If you still have other debts to discharge, you may be able to convert your Chapter 13 to a Chapter 7 case. A good reason to stay in your Chapter 13 is to cure arrearages that you might owe on your first mortgage. 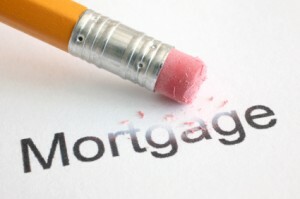 The forgiveness of your second mortgage does not alter what you owe on your first mortgage. Your Chapter 13 bankruptcy might also be managing debts that are nondischargeable, like taxes. A knowledgeable bankruptcy expert can guide you on making the best choices. This means that if you file a Chapter 13 bankruptcy soon after a Chapter 7 bankruptcy, you may be able to get rid of second mortgages, liens, and HELOCs in the bankruptcy (if you live in the Fourth Circuit — Maryland, North Carolina, South Carolina, Virginia, and West Virginia). In Chapter 13 bankruptcy, if you have a second mortgage, junior lien, or any mortgage or lien other than your first mortgage that is “wholly unsecured,” you can get rid of it. The amount of the mortgage or lien becomes part of your unsecured debt — which most people pay off through their Chapter 13 plan at a rate of pennies on the dollar. “Wholly unsecured” means that your equity in your home, after subtracting the balance on your first mortgage, won’t cover any of the balance on the junior mortgage. Here’s an example: Your home is worth $400,000 and the unpaid balance on your first mortgage is $450,000. You have a second mortgage for $50,000. Because your home equity is not enough to cover your first mortgage, your second mortgage is wholly unsecured, and eligible for lien stripping. Chapter 20 bankruptcy is an informal way of referring to the practice of filing for Chapter 7 bankruptcy, and then following with a Chapter 13 bankruptcy. Some debtors do this because the Chapter 7 does not get rid of all their debts (for example, child support arrears, tax debts, and other priority debts). The Chapter 13 allows the debtor to pay off these debts in a three to five-year payment plan. The debtor cannot get a discharge in Chapter 13 if it falls too close upon the heels of the Chapter 7 — but often that doesn’t matter. (Learn the rules about multiple bankruptcy filings.) The debtor can still get the protection of the bankruptcy court during the plan payment period, and in this way can make more reasonable payments towards the remaining debts. What remains an unresolved question in many circuits is this: Can a debtor strip off junior liens in a Chapter 13 bankruptcy even though there is no discharge available (because of the previous Chapter 7)? The Court of Appeals in the Fourth Circuit, in In re Davis, No. 12-1184 (May 10, 2013) said yes. This is good news for bankruptcy debtors living in Maryland, North Carolina, South Carolina, Virginia, and West Virginia. The 11th Circuit surprised the bankruptcy world recently when it ruled that Chapter 7 bankruptcy debtors could strip off wholly unsecured liens from their homes. The ruling represents a major victory for bankruptcy debtors — providing Chapter 7 debtors with a powerful tool for debt relief. Read on to learn what this new ruling means. In most bankruptcy districts, lien stripping is allowed in Chapter 13 bankruptcy only. With lien stripping, if you have a second mortgage or junior lien on your home that is no longer secured by the equity in your home, you can strip it off (remove it). The stripped off lien becomes unsecured debt. Here’s an example. Let’s say your home is currently worth $350,000. You have a first mortgage in the amount of $400,000, and a second mortgage in the amount of $50,000. The equity in your home does not cover the second mortgage (it covers $350,000 of the first mortgage). If you were to file for Chapter 13 bankruptcy, you could remove the entire second mortgage from your property. For details on how lien stripping works, and for more examples, see the articles in Nolo’s Your Home & Mortgage in Chapter 13 Bankruptcy topic area. This is good news for debtors living in the 11th Circuit’s jurisdiction. If you have a mortgage or lien on your home that is wholly unsecured (and in this day and age of plummeting real estate values, many people do), you can enjoy the many advantages of Chapter 7 bankruptcy and still be able to strip off the junior lien. Once the lien is stripped off, it will become unsecured debt and be discharged at the end of your Chapter 7 bankruptcy. It’s almost certain that the 11th Circuit decision will be appealed to the U.S. Supreme Court. But in the meantime, Chapter 7 debtors can use this newly available tool in Chapter 7 bankruptcy. One powerful feature of Chapter 13 bankruptcy is a homeowner’s ability to get rid of second or third mortgages in certain circumstances. This is called “lien stripping.” Here’s how it works. If you have a junior mortgage (basically, anything other than your first mortgage) that is no longer secured by the value of your home, you can strip it off in Chapter 13 bankruptcy. For example, say your home is worth $200,000, the balance on your first mortgage is $225,000, and you have a second mortgage in the amount of $25,000. Since your home equity is not enough to cover even your first mortgage, your second mortgage is no longer secured by equity in your home. In Chapter 13 bankruptcy, you can strip off the second mortgage. What Types of Mortgages Can Be Stripped Off? You can strip off any junior mortgage, such as a second or third mortgage, or a home equity line of credit (HELOC). The junior mortgage must be wholly unsecured. This means that if even a small portion is secured by the equity in your home, you cannot strip it off. What Happens to the Stripped Off Mortgage? The junior mortgage becomes part of your unsecured debt. It is treated like the rest of your nonpriority, unsecured debt in Chapter 13 bankruptcy – that is, you pay it off in part through your Chapter 13 plan. Most Chapter 13 filers pay only a small portion of their unsecured debt. At the end of the plan period, the remaining unsecured debt is discharged.